Plan your days to keep on track! The Student Planner lists important dates throughout the year. August 1 through July 30. 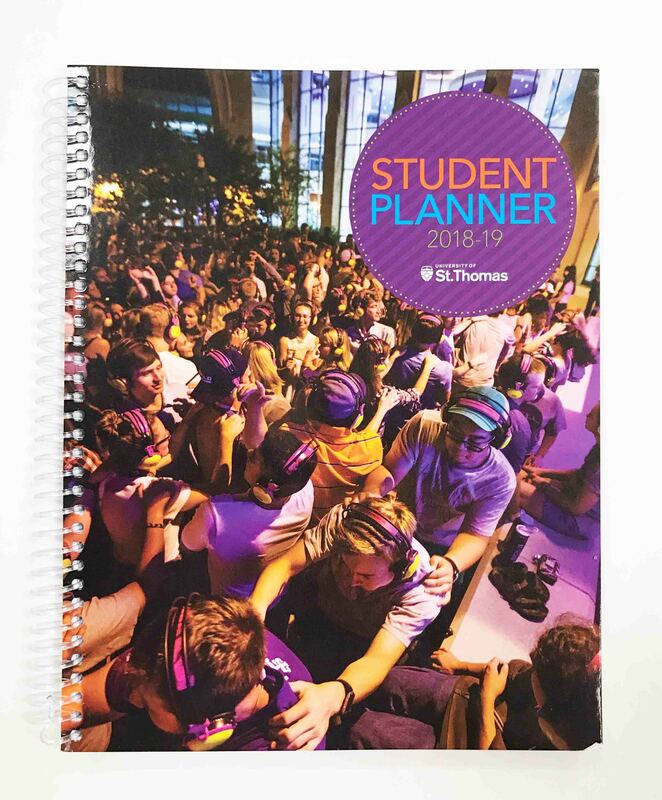 This planner is also a great resource for campus navigation, commonly used acronyms, academic/career resources, tech services for students, and life at St. Thomas.